The Smarter Listening programme puts your audience at the centre of your business and content strategy. 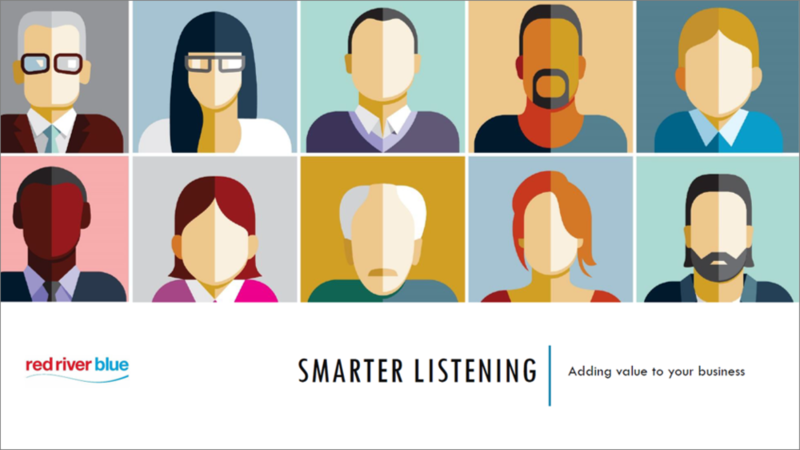 First developed in 2008 and fully updated and revised with new elements, Smarter Listening has supported more than 50 media brands across 30 different B2B and B2C sectors. It combines ‘brand neutral’ audience research with analytics, and provides an ongoing business and strategy planning framework and metrics. With a modular approach to suit different client needs and budgets, the focus is on practical plans and outcomes - involving your teams from the outset to ensure they are motivated and empowered to deliver. Understanding what content your audience values and trusts (‘must have’ rather than ‘nice to have’) is the key to successful product development and sustained engagement, and underpins commercial success. With a sharp focus on your business objectives our strategy workshops help you to uncover new opportunities, power up transformation plans, and motivate your teams to create practical plans that deliver growth. Our brand definition process aligns your team behind a united vision for the brand, and sets out a blueprint for your product development, content and marketing that puts the needs of your audience and customers at its heart. To verify your email address, please click on the link in the email we just sent you. We will then send you a link to download the PDF files you have requested. If you do not receive the verification email within one hour, please check your spam filter and add us to your safe senders list.